Wish I had a green house to keep ants in. I wish mine was bigger XD it's like 10 by 3 by 8 ft. It's a little tight. And now with housing ants it's even tighter. As someone requested, here are some photos of the colony. Looks awesome. I'm a first time ant keeper that has three yet unidentified test tube colonies. I notice you are located in Ontario, what is your preferred source for different supplies (food, housing, etc). So when do majors usually start to arrive? Now, in terms of housing I normally just stick to test tubes. Although, I am noticing that a lot of my colonies that have pupa which spin cocoons cannot do so in a glass tube. I now almost always add substrate into their tubes when I initially catch queens of species that require substrate to spin. Almost all Canadian species can live in tubing for up to a year easily. The only exception is Camponotus because all of our genera here are large. 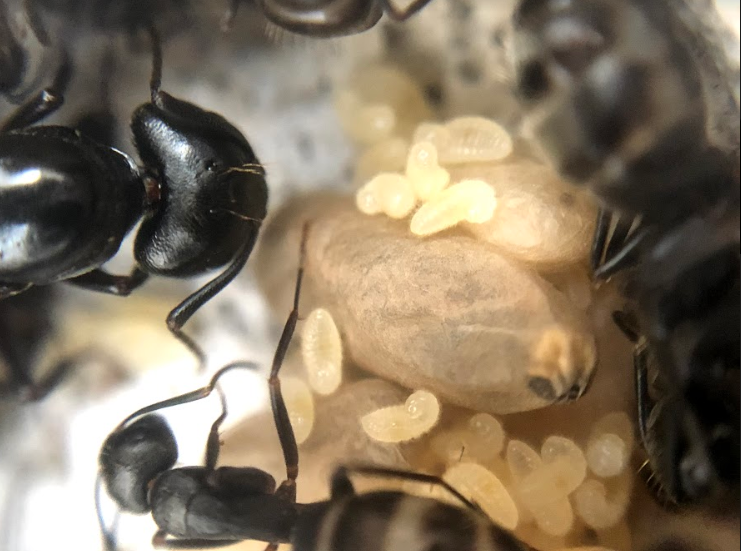 If you're looking for nests for Camponotus or Formica I would highly recommend AA (AntsAustralia) ytong nests. Although expensive, it works for dry loving species and they don't need any substrate to spin. 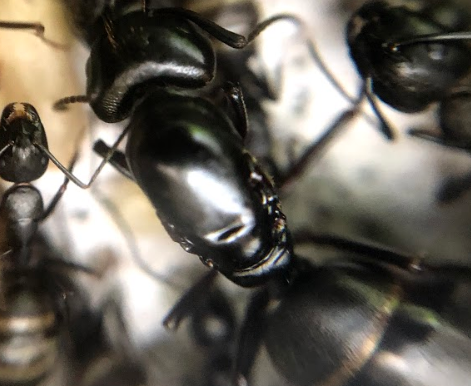 All of my Camponotus have done exceptional in theirs. I've actually got another colony of this same species and it just goes to show some queens are different. This colony is only at 6 workers and she got her first on August 3rd. I have hardly fed them so her egg production has also taken a toll.